Party at Anachronism 4.5, a gothic steampunk benefit show for Gil Cnaan, and have a very undead neo-Victorian April Fools. Holly speed of time, Batman! It’s WonderCon week already. I’m mildly flabbergasted. Wasn’t it JUST January? Is March seriously almost over? Is this weekend really March 16-18? 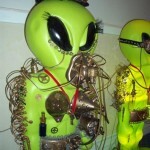 Looking Forward to CondorCon: Men In Black Aliens, Conspiracies, & Feds, Oh My! 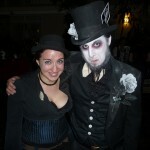 March 2-4 is ConDor, San Diego’s best science fiction/fantasy convention. Let the literary glut begin! WHEN will those emails announcing that 2012 badge sales are open go out to all of us eager SDCC fans with our Member IDs? The latest announcement says “Soon”. To celebrate it’s 20th birthday, comics giant Image is throwing itself a birthday party and you’re invited. 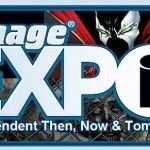 Image Expo is schedule for the end of February, 2012, and will feature a range of Special Guests from Image.